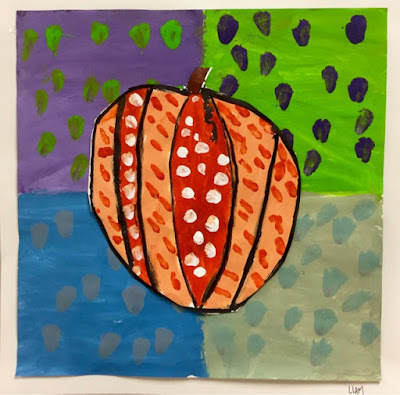 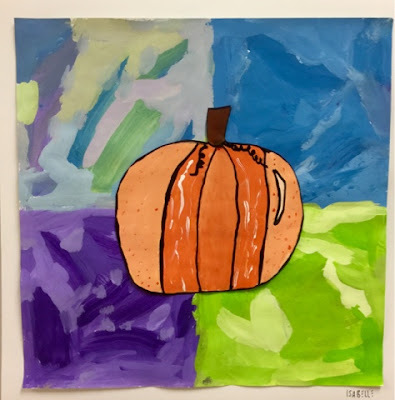 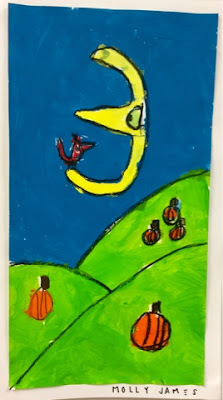 Second Graders learned a little about James Rizzi, landscapes, and perspective in this project. 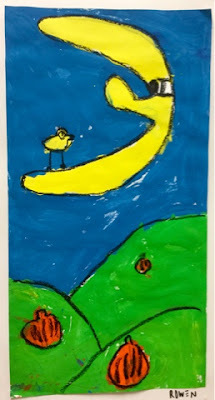 Get kids to draw a hilly landscape. 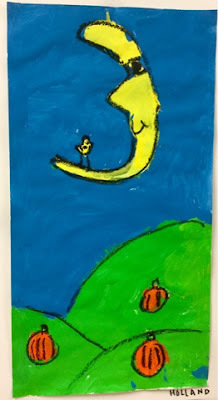 Discuss that things in the distance are smaller and things in the foreground will be bigger. 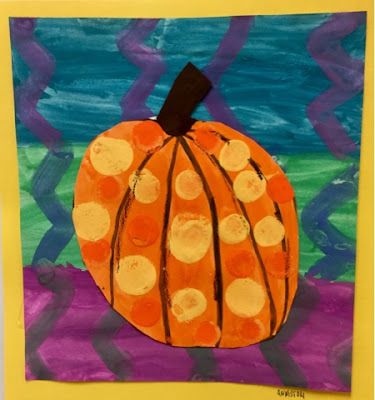 Kids draw pumpkins sprinkled on the hills using this concept. 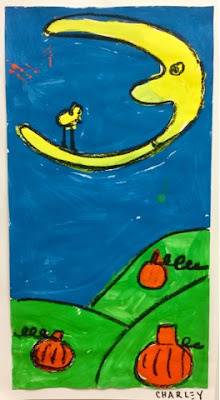 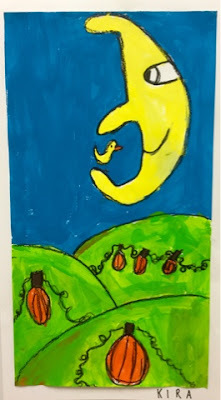 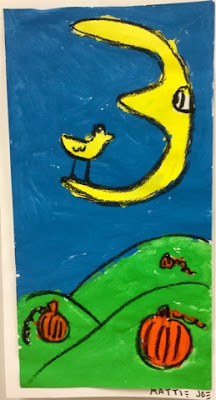 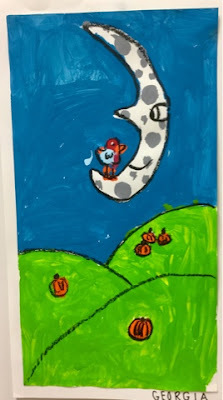 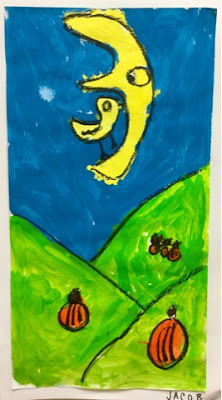 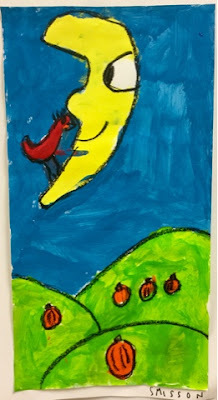 Kids draw a James Rizzi moon and bird. 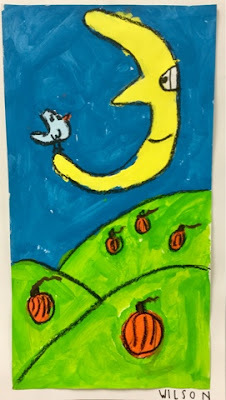 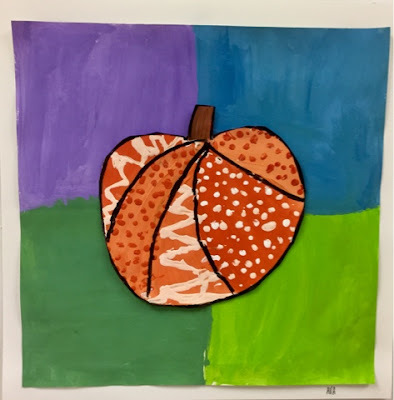 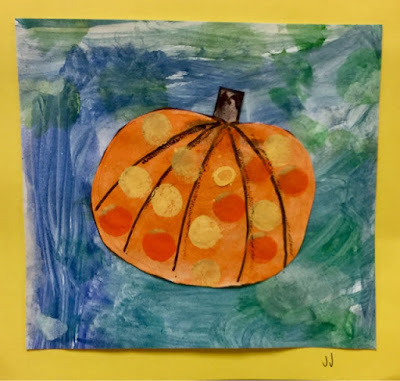 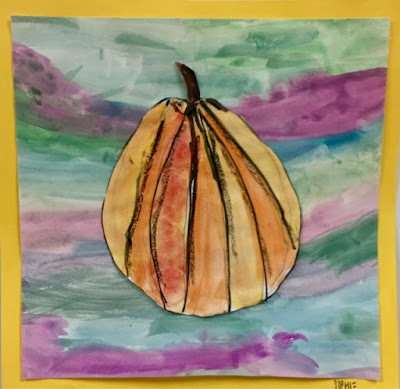 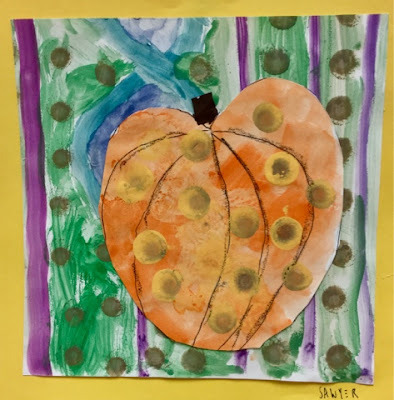 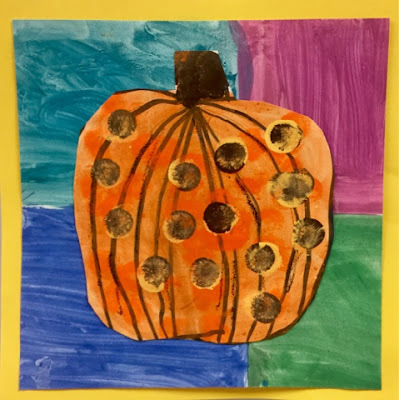 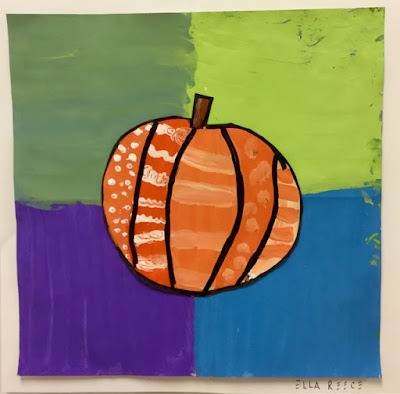 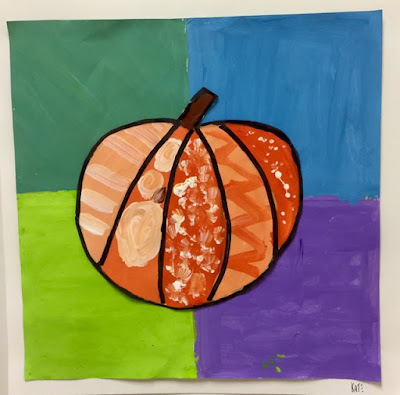 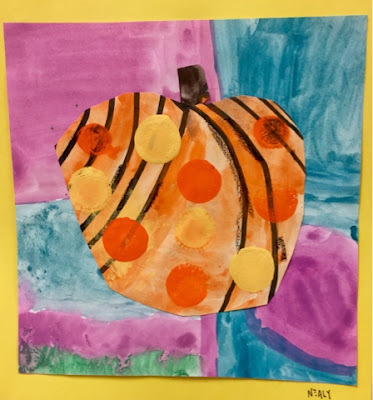 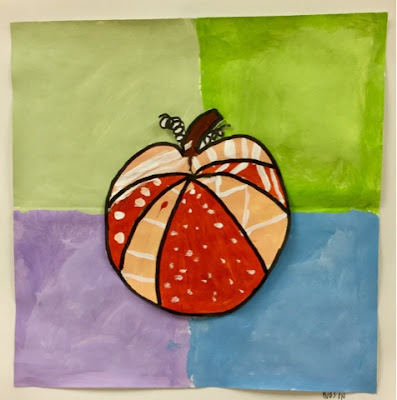 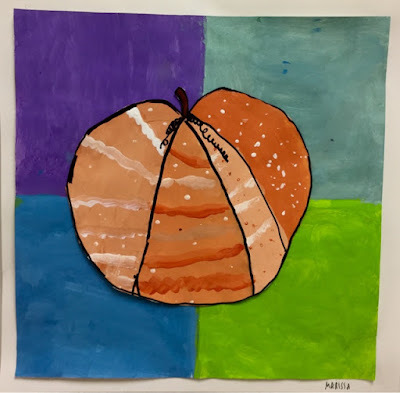 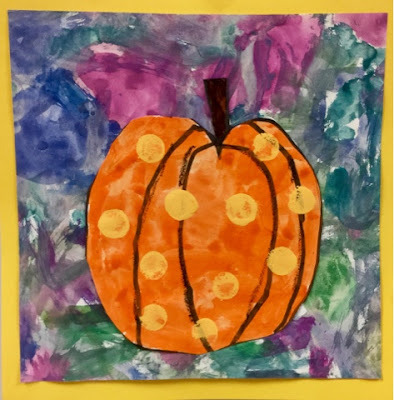 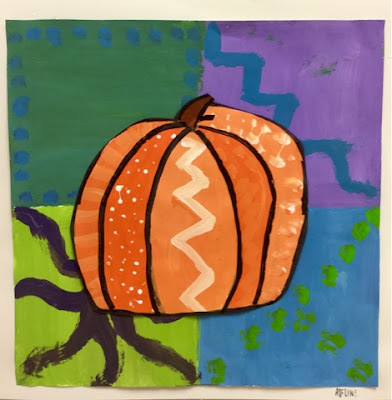 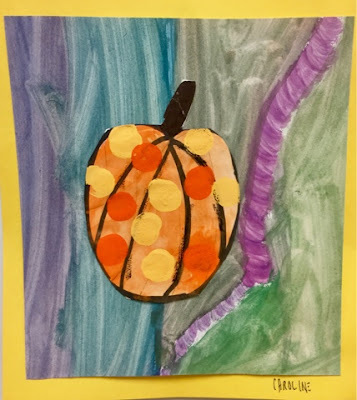 Next week, the kids painted their projects. 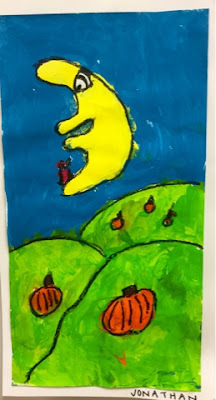 I think the kids were exposed to several important aspects of art. 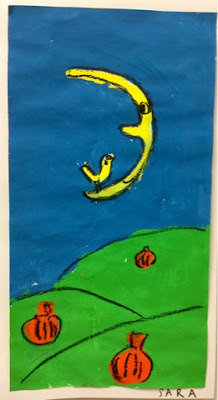 I hope you will try this project with your kids soon. 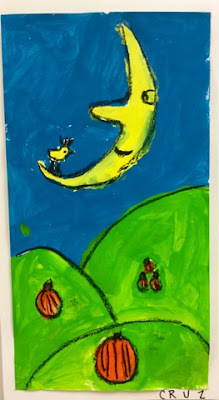 Here is a song about the Man on the Moon by R.E.M.